I found this a very revealing portrait of how Russia/Putin/et al. are winning the hearts and minds of the planet. By assuming the friendship of their opponents (partners in contrast), they allow those opponents to expose themselves for who and what they are. To me, this is identical to what the Mauna a Wākea protectors have been doing. Kapu Aloha is the theme, and as a result of that, the State/County/Fed Gov, continually expose the treachery of their actions and intent. The “opponent” is dissolving itself. And Russia is seeing to it that it continues. Boyle tells #Cameron ‘Don’t bomb #Syria’ as 25,000 prepare to protest at #DowningSt! Frankie Boyle tells David Cameron ‘don’t bomb Syria’ as 25,000 prepare to protest at Downing Street ~ DAN BLOOM, THE MIRROR, 26 NOV 2015. The outspoken comic is one of 23 people who have signed a letter begging the PM to block air strikes – with Jeremy Corbyn opposing bombing too. Mounting protest: Frankie Boyle is among those writing to the PM ahead of a march on Westminster. Frankie Boyle has joined musicians, writers, union chiefs and politicians telling David Cameron not to bomb Syria as 25,000 protesters prepare to march on Westminster. The outspoken comic is one of 23 people who signed a letter begging the Prime Minister to block air strikes tonight after he warned Britain is under ‘armed attack’. Others include former Roxy Music star Brian Eno, Green MP Caroline Lucas, writer John Pilger and comedian Jeremy Hardy. 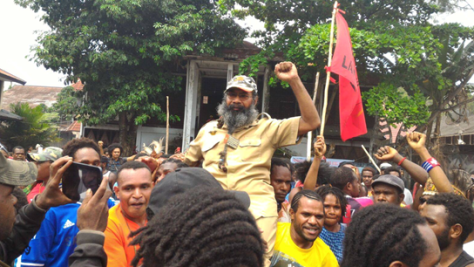 Jubilant crowds celebrate the release of prominent Papuan political prisoner Filep Karma. A high-profile West Papuan dissident leader has been released from prison after more than a decade behind bars for raising a flag. Political prisoner Filep Karma walked free from jail in Papua, Indonesia last week, after spending 15 years in prison — charged with treason — for raising the banned West Papuan independence flag. He was named by Amnesty International as a prisoner of conscience. His detention was condemned as “arbitrary” by the United Nations. In August this year when the government of Indonesia offered him a pardon in exchange for admission of guilt. Five people, including two investigative journalists and a Spanish priest, have gone on trial in the Vatican over the leaking and publication of secret documents. The journalists, who recently published books about financial waste and wrongdoing at the Vatican, accused the Holy See of attacking press freedom. If convicted, all five could be jailed for up to eight years. The Vatican says the writers tried to put pressure on its staff. Spanish priest Msgr Angelo Lucio Vallejo Balda and public relations expert Francesca Chaouqui were part of a special reform commission set up by Pope Francis to tackle the Vatican’s financial holdings and propose reforms to improve cash flow to the poor. The priest’s secretary Nicola Maio has also been accused. The journalists, Emiliano Fittipaldi and Gianluigi Nuzzi, bitterly criticised the Vatican’s decision to put them on trial for publishing their books, Avarice and Merchants in the Temple. CIVILITER MORTUUS. Civilly dead; dead in the view of the law. The condition of one who has lost his civil rights and capacities, and is accounted dead in law. Rasor v. Rasor, 173 S.C. 365, 175 S.E. 545. DEATH. The cessation of life; the ceasing to exist; defined by physicians as a total stoppage of the circulation of the blood, and a cessation of the animal and vital functions consequent thereon, such as respiration, pulsation, etc. This is “natural death,” in contradistinction to “civil death,” and, also, to “violent death,” See those titles, infra. Civil death. The state of a person who, though possessing natural life, has lost all his civil rights, and as to them, is considered as dead. Quick v. Western Ry. of Alabama, 207 Ala. 376, 92 So, 608, 609. At common law, the extinction of civil rights and relations, so that the property of a person declared civilly dead passes to his heirs as if dead in fact. Holmes v. King, 216 Ala. 412, 113 So. 274, 276. 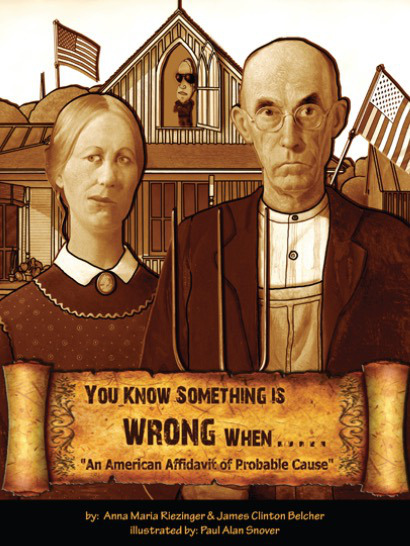 The “civil death” spoken of In the books, is of two kinds : (1) Where there is a total extinction of the civil rights and relations of the party, so that he can neither take nor hold property, and his heirs succeed to his estate in the same manner as if he were really dead, or the estate is forfeited to the crown. (2) Where there is an incapacity to hold property, or to sue in the king’s courts, attended with forfeiture of the estate to the crown. Of the first kind, are the cases of monks professed, and abjuration of the realm; all the other cases are of the second kind. Chit.Crim.Law 723; Co.Litt. §§ 133, 199, note; Littleton § 200; 1 Bl.Comm. 132; Avery v. Everett, 110 N.Y. 317, 18 N.E. 148, 1 L.R.A. 264; In re Donnelly’s Estate, 125 Cal. 417, 58 P. 61, 73 Am.St.Rep. 62. In New York a person sentenced to imprisonment is thereafter deemed civilly dead under Penal Law § 511. See Platner v. Sherwood, 6 Johns.Ch., N.Y., 118; Troup v.
EXTRA LEGEM POSITUS EST CIVILITER MORTUUS. Co. Litt. 130. He who is placed out of the law is civilly dead. A bankrupt is, as it were, civilly dead. International Bank v. Sherman, 101 U.S. 406, 25 L.Ed. 866. INTESTABLE. One who has not testamentary capacity; e. g., an infant, lunatic, or person civilly dead. RELIGIOUS MEN. Such as entered into some monastery or convent. In old English deeds, the vendee was often restrained from aliening to “Jews or religious men” lest the lands should fall into mortmain. Religious men were civilly dead. Blount. CONSCIENCE, RIGHT OF. As used in some constitutional provisions, this phrase is equivalent to religious liberty or freedom of conscience. Com. v. Lesher, 17 Serg. & R. (Pa.) 155; State v. Cummings, 36 Mo. 263. Liberty for each individual to decide for himself what is to him religious. Gobitis v. Minersville School Dist., D.C.Pa., 21 F.Supp. 581, 584. See, also, Religious Liberty, as defined below. Freedom from dictation, constraint, or control in matters affecting the conscience, religious beliefs, and the practice of religion; freedom to entertain and express any or no system of religious opinions, and to engage in or refrain from any form of religious observance or public or private religious worship, not inconsistent with the peace and good order of society and the general welfare. See Frazee’s Case, 63 Mich, 396, 30 N.W. 72, 6 Am.St.Rep. 310; State v. White, 64 N.H. 48, 5 A. 828. LIBERUM CORPUS NULLAM RECIPIT ;ESTIMATIONEM. Dig. 9, 3, 7. The body of a freeman does not admit of valuation. LIBERUM EST CUIQUE APUD SE EXPLORARE AN EXPEDIAT SIBI CONSILIUM. Every one is free to ascertain for himself whether a recommendation is advantageous to his interest. Upton v. Vail, 6 Johns. (N.Y.) 181, 184, 5 Am.Dec. 210.